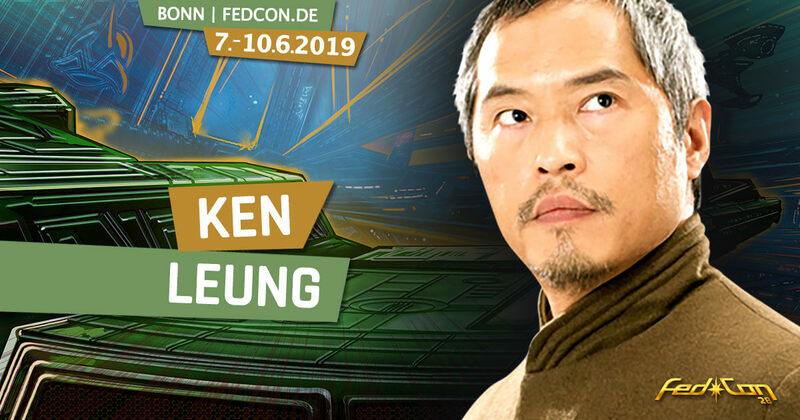 The Star Wars universe sends Ken Leung, an envoy from The Force Awakens, to FedCon 28 in Bonn. The New York City-born actor is in the seventh episode of the saga as Admiral U. O. Statura, who joined the resistance against the First Order. He finally gave Poe Dameron the command to attack the Starkiller base. Apart from his mission in the service of Leia & Co. Ken Leung has been seen in numerous productions since 1995. Among them are TV series like Law & Order, Zero Hour, The Night Shift, Marvel’s Inhumans, most recently in The Blacklist and especially as Miles Straume in 48 episodes of the mystery hit Lost. The latter was written by J. J. Abrams, who also directed The Force Awakens. Leung’s best-known cinema appearances, in addition to his Star Wars role, include films such as Rush Hour, X-Men: The Last Stand and Steven Spielberg’s A.I. – Artificial Intelligence . Ken Leung also cuts a good figure on the theater stage, which of course fuels our anticipation of being able to experience the likeable actor on the FedCon stage in Bonn. Of course, autograph and photo vouchers are also waiting for you in the Ticket-Shop.